So we’re working a seventies palette, yet an eighties silhouette. 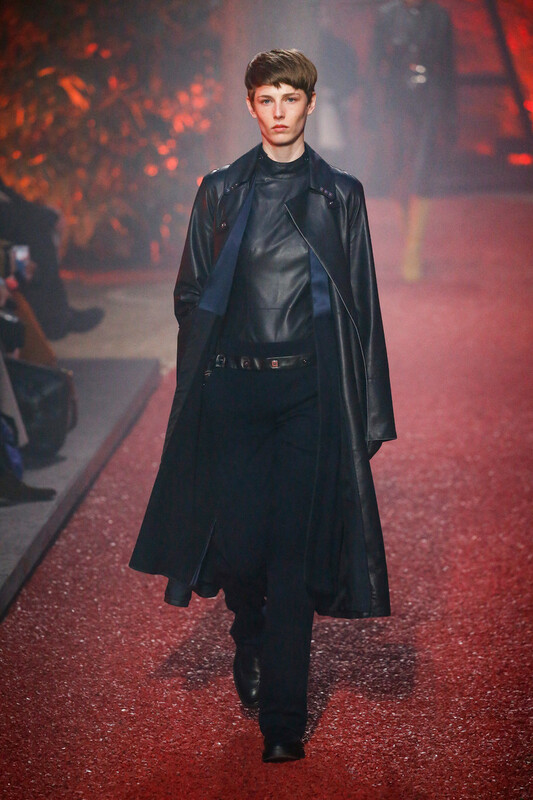 Bold shoulders are back, as are the black leather jackets. 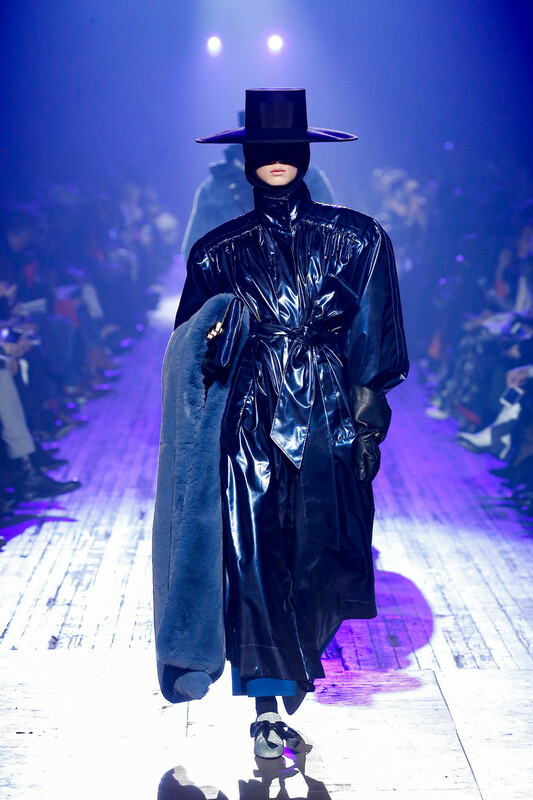 The power woman silhouette came through strongly at Saint Laurent, Isabel Marant and Versace. 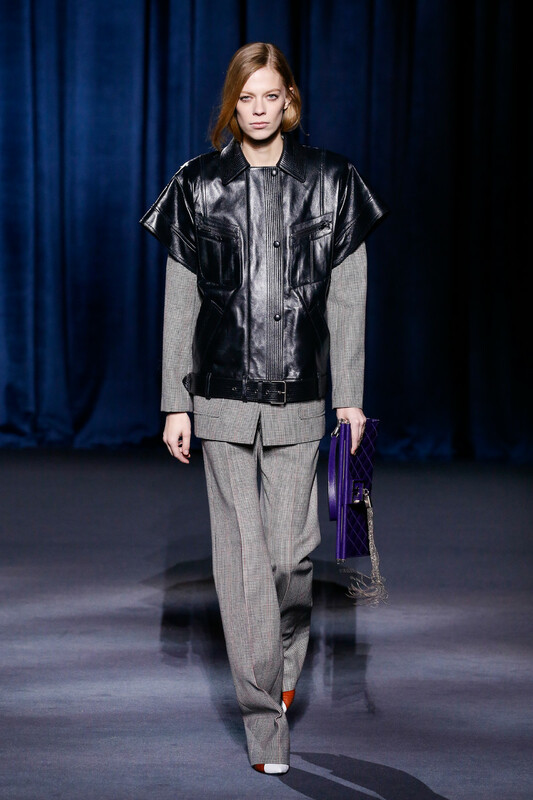 Bare legs or a pair of skinny jeans and a bold jacket make up for the eighties look. But there’s more! 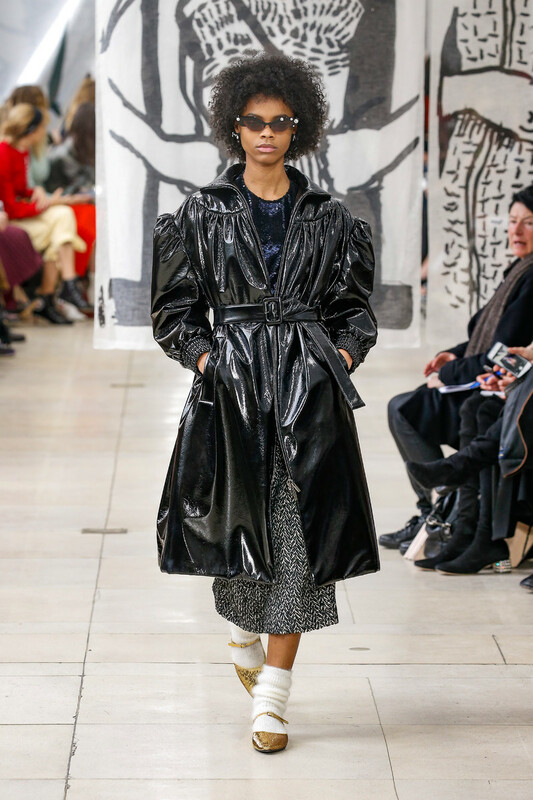 Patent leather at MiuMiu, Haider Ackermann and Marc Jacobs proof you don’t have to wear color or metallic to wow your crowd. 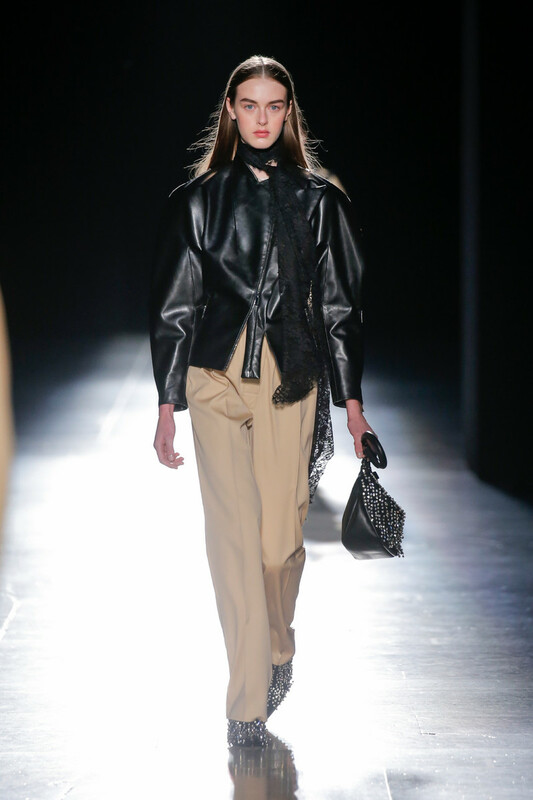 Black leather is your ultimate no brainer for fall. Oh and put on a matching hat for that extra style statement. Eighties redux with an ’18 touch.